This is my second 4iiii power meter. I was in on the original kickstarter offering, and mailed them my crank arm for installation. Works great, no issues. Seems to have better battery life than my Stages. Tested the first one against my Power Tap hub, and they numbers were very close. Highly recommended. Got it at very affordable price. Easy to install, calibrate. Did few outdoor ride and Zwift session, it work just great! Highly recommended. Easy to install, calibrate and pair to (lezyne) head unit and Zwift via bluetooth. Works as expected. No power drops. 6 days tracked shipping to Canada. Paid tax and handling. I have no problems with 4iiii after 2 months of use. Highly recommended. got on offer a few months back. great PM and very easily swappable if you run Shimano cranksets on all bikes as i do. never misses a "watt" and is comparable in power output to my Vector S. we'll see what its like in the next few months with lower temps, etc but all is good so far. had a question for support re calibration and they reverted very quickly. I've only installed and used this once so far, but it's already better that Stages. With Stages I had drop outs randomly 2-3 times an hour on the trainer, which really disrupts a training session. First ride with 4iiii was flawless. Easy to install on my Ultegra crank to save some money. Nice piece of kit, delivered promptly as always from "pbk" . Very easy to install and set up - very clear instructions. Still getting used to the results and numbers - it's going to take awhile to figure it all out!! 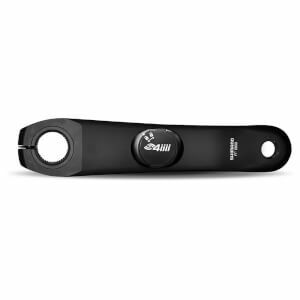 A very good value power meter with which to start training with power!